Never miss a great DSW coupon and get our best coupons every week! Sign up for Groupon today and get up to 25% off your first purchase on Groupon. Shop on Groupon.com to save more on your favorite brands. Click here to get started! Valid on 1 unit per transaction; max 1 Local deal or 1 Goods item per customer. Not combinable with other Goods offers. Up to $25 discount per deal. Ends 6/30. Exclusions apply, full details at gr.pn/promofaq. With this DSW coupon code, take $20.17 off your order of $99 or more, or $40 off your order of $199 or more. This coupon expired on 01/02/2017 CDT. For a limited time, get a $5 bonus card from DSW for every $50 you buy in gift cards. Click through to learn more. This coupon expired on 12/26/2016 CDT. Check DSW daily this holiday season for their 30 Days of WOW. This coupon expired on 12/24/2016 CDT. With DSW's Green Monday promo code, save $10 on your order of $49 or more, $20 on your order of $99 or more, and $40 on your order of $199 or more. This coupon expired on 12/14/2016 CDT. Today Only, DSW Promo Code - Free Weekender Set! This coupon expired on 12/08/2016 CDT. WIth this DSW promo code, save $10 on your order of $49 or more, $20 on your order of $99 or more, or $40 on your order of $199 or more. Get free shipping on any DSW order, today only! This coupon expired on 11/28/2016 CDT. 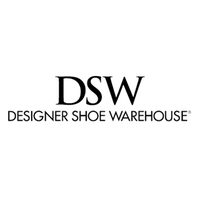 Save $10 on $49+, $20 on $99+, and $40 on $199+orders with this DSW promo code. With this DSW promo code, buy 2 shoes and handbags and get 20% off. This coupon expired on 11/27/2016 CDT. By using these DSW Shoes coupons, you can walk away with new designer pumps, sandals, and flats. Famous brands such as Steve Madden and Dr. Martens mingle with proprietary labels such as Lulu Townsend and Poppie Jones. While ladies pair their new shoes with handbags, men hunt down everything from athletic shoes to dressy wingtips. Start shopping by grabbing a DSW Shoes coupon. Once known as Designer Shoe Warehouse, the footwear emporium now goes simply by its abbreviated moniker, DSW. The first of its stores opened in Ohio, back in the early ‘90s, and has since spread to more than 350 stores across the country. In addition to shopping at DSW’s expansive locations, customers can peruse even more kicks on its website’s ever-changing stock at dsw.com. If you become a member, you can also earn points toward rewards certificates whenever you shop. And now thanks to these DSW Shoes coupons from Groupon Freebies, you can stack the shoe boxes you bring home even higher. In addition to curating designer footwear, DSW also tries to find ways to sell shoes in a more sustainable manner. The company’s code of conduct requires vendors to ensure safe and equitable factory and working conditions for their employees. And to make sure they comply, DSW performs audits of its vendors to rout out any unethical behavior. When it isn’t keeping its house in order, DSW helps its local communities through a program it’s created called Shoe Lovers Care. This initiative had donated thousands of dollars—and volunteered thousands of hours—to support nonprofit organizations. A bad pair of shoes can give you blisters, make your feet ache, and convince you to send money to that Nigerian Prince who emailed you. Invest in an honest-to-goodness pair of kicks with a DSW Shoes promo code.